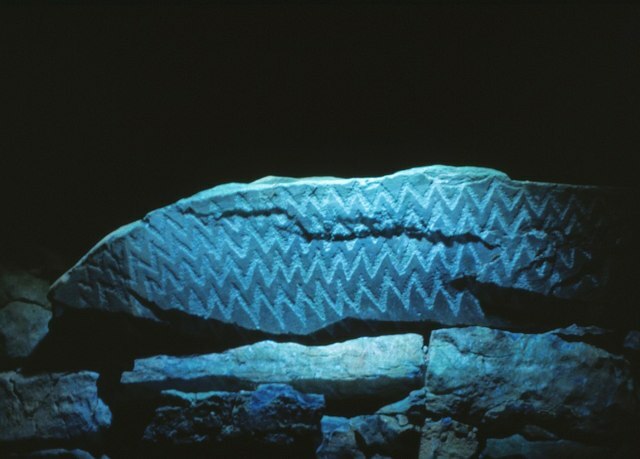 One of the decorated stones at Fourknocks 1, excavated by Hartnett in 1950. This lintel was found collapsed at the junction of entrance passage and central chamber. Replaced on the chamber wall, it is lit by a shaft of natural light through the concrete dome of the restored tomb. This page has been viewed about 90 times.